Most people have heard the Mariana Trench is the deepest place on Earth, but how did it form and why is it there? Why are there two zones of active volcanism that parallel the trench, one a chain of shallow seamounts (underwater mountains) and the other within a line of deep basins? The answers are all related to the interaction of tectonic plates in the Mariana region: the outer parts of the earth’s crust and mantle that slowly move, crunching and grinding against each other, generating earthquakes and volcanic activity. The deepest areas of the world’s oceans are all in trenches, formed where plates are colliding. One plate dives beneath another at what is called a “subduction zone.” Where the down-going plate bends and angles downward into the earth’s mantle, the seafloor forms a trench along the boundary between the down-going and over-riding plates (see cross-section diagram, above right). 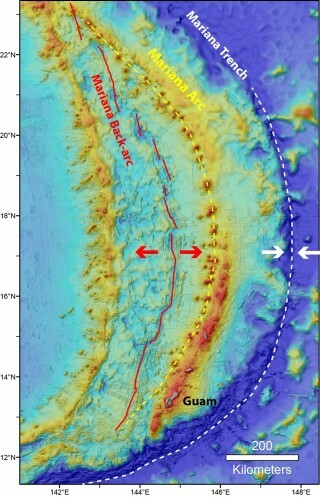 In the Mariana system, the trench is curved (see white dashed line on map, right). As the down-going plate plunges deeper and deeper into the earth’s mantle, it heats up, releases water and causes melting in the surrounding mantle. This generates magma (molten rock) that rises back toward the surface and feeds a chain of volcanoes that are parallel to the trench in the over-riding plate. This is called a Volcanic Arc (see yellow dashed line on map). 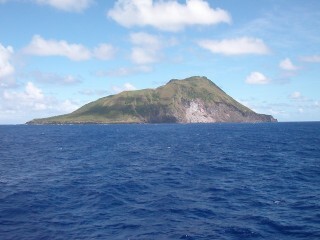 The active volcanoes of the Mariana Arc are mostly seamounts; many of them have summits that are shallow (only a few hundred meters deep), but only some of them are tall enough to form islands (see photo of Sarigan Island, right). In the Mariana system, the Volcanic Arc is located to the west of (and parallel to) the trench (see map). Some of our work during this cruise will be looking for chemical traces in the ocean currents coming from shallow hydrothermal vents in the Volcanic Arc. In some subduction zones (including the Mariana system), the over-riding plate is under tension, and as a result, it has developed a back-arc spreading center where it is effectively splitting apart along a north-south line. Volcanic activity is concentrated along the zone of spreading, where it creates new ocean crust. The Mariana back-arc is west of the volcanic arc (see red lines on map). How does all this relate to our Hydrothermal Hunt? Submarine volcanic activity is what provides the heat that creates hydrothermal vents. The vents’ chemical energy is what fuels the chemosynthetic ecosystems that thrive there – so the Arc and Back-arc are where vents should be found. From previous exploration, we know that about a third of the seamounts in the Mariana Volcanic Arc are hydrothermally active, but the Mariana Back-arc has never been systematically explored, so we know much less about the activity there. How many hydrothermal vent sites are there in the Mariana Back-arc? Where are they located? 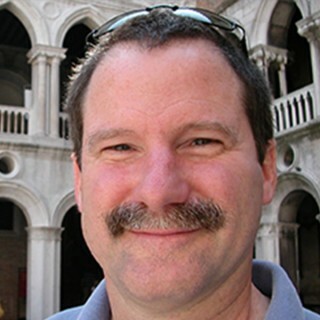 What is their chemical input into the ocean? What is their role in the biogeography of vent animals in the western Pacific? Do the different tectonic settings of the Arc and Back-arc affect the character of the vents they host? By the end of this cruise, we should have the answers to some of these questions, and a starting point for answering the rest. Fly-through movie along the Mariana Back-arc, showing what the seafloor looks like, colored depending on depth (purple is deepest, red is shallowest, green are islands above sea-level). The data are five times vertically exaggerated.